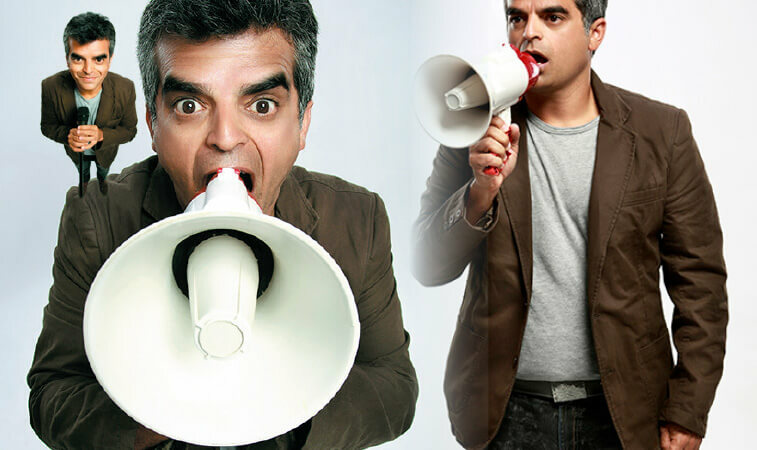 Last Friday, ace stand-up comedian Atul Khatri performed live at Resorts World Genting. With salt and pepper hair and strong eyebrows, the former chief executive officer (CEO) of a computer business — which makes him an unlikely comedian — showcased the best of stand-up comedy from India. Having provided a healthy dose of laughter to a receptive crowd at “The Late Night Comedy Show with Atul Khatri” at Genting International Showroom, Atul, 49, was entertaining throughout the fast-paced hour-long show. The evening started with Double Ace, a musical duo warming up the audience with jazzy hits. Atul then went on stage to loud applause and drew laughter right off the bat when revealing how he got involved in comedy, by following his wife and two daughters to a Justin Bieber concert. A Manchester Business School, University of Manchester alumnus, Atul not only displayed wit and top-notch comedic timing but also engaged with the audience by asking questions and poking fun at them, resulting in impromptu jokes. Peppered with relatable stories of his work, marriage — he is a Sindhi married to a Punjabi woman — and qualms about being middle aged, it was easy to see why fans as far as Singapore, Pakistan, Bangladesh, Uganda and, of course, India came to Resorts World Genting for great laughs. Not coy in cracking jokes on his Sindhi roots, Atul describes himself as a performer with a fresh 40-plus years old perspective on stand-up comedy. Atul, who finds comedy a creatively lucrative trade, continued to keep the audience in a rapture with stories on life in Mumbai and the horrors of driving there. Also a popular personality on video-sharing website YouTube, he decided to become a comedian as an alternative career in 2011, so he could tick it off his bucket list or so, he said. Before gaining prominence in stand-up comedy, he was a businessman based in Mumbai, a computer engineer and a scholar studying management in the UK. Having started his career in comedy by posting jokes on Facebook, Atul has come a long way with over 400 comedic shows, television advertisements and YouTube videos under his belt. He has performed in some of the biggest international comedy festivals as well. In 2012, he was one of the three finalists at the Melbourne International Comedy Festival held in New Delhi, and has performed at a fundraiser event organised by the American India Foundation in San Francisco. Recently, CNN-IBN ranked Atul as one of the top 20 comedians in India to watch out for. He has also gained recognition after competing successfully against 11 other chief executive officers (CEOs) in the CEOs Got Talent programme by Fremantle Media in 2014. At the 8th Annual Hong Kong International Comedy Festival, he made a strong showing, more so being the only Indian to have ever been invited to perform at the event. After his show in Genting, Atul mingled with the audience members — a delightful ending for all.